"This book explores a range of Angus McBean's black and white photography work from the 1930's to the 1950's during which time he documented countless landmark theatre and film productions within Britain for publicity purposes. Successfully using dramatic chiaroscuro lighting and imaginative props, McBean captured the styles and opulence of these productions. The introductory essay by Richard Traubner keeps a lively balance between the technical side of McBean's innovative approaches and his personal quirks." 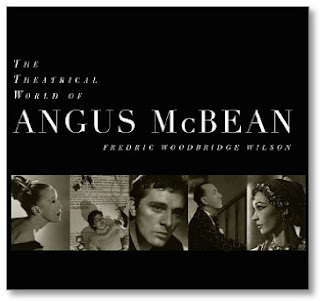 --- from John Mathews's review of The Theatrical World of Angus McBean by Fredric Woodbridge Wilson in photo-eye Magazine.